1. Cockpit Table – Rufus designed it to fold up neatly around the pedestal when we don’t need it and then fold out again when we want to have a meal or drinks etc. 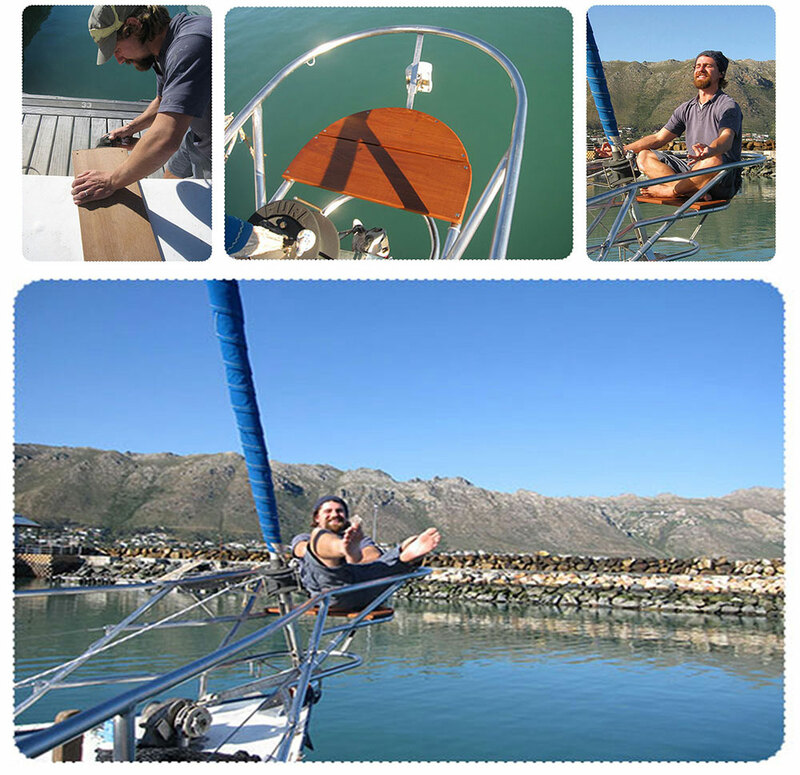 While we are still working on the boat we use this area of our morning meetings and for lunch time. 2. Signage – We decided to modernise Melody’s signage even further. 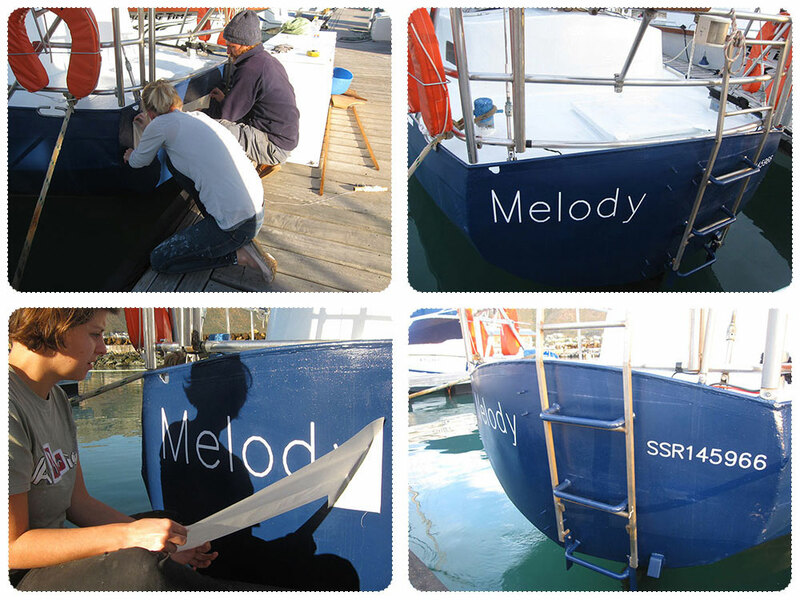 The old font had a funny twirl in the “o” which lead many people to think the boat was named “Melady”. Vivian put together a selection and we chose this font, cleaner and less twirly than the last. This also gave us the opportunity to have our new UK Small Ships Registration number made up. We are officially registered to go international! 3. 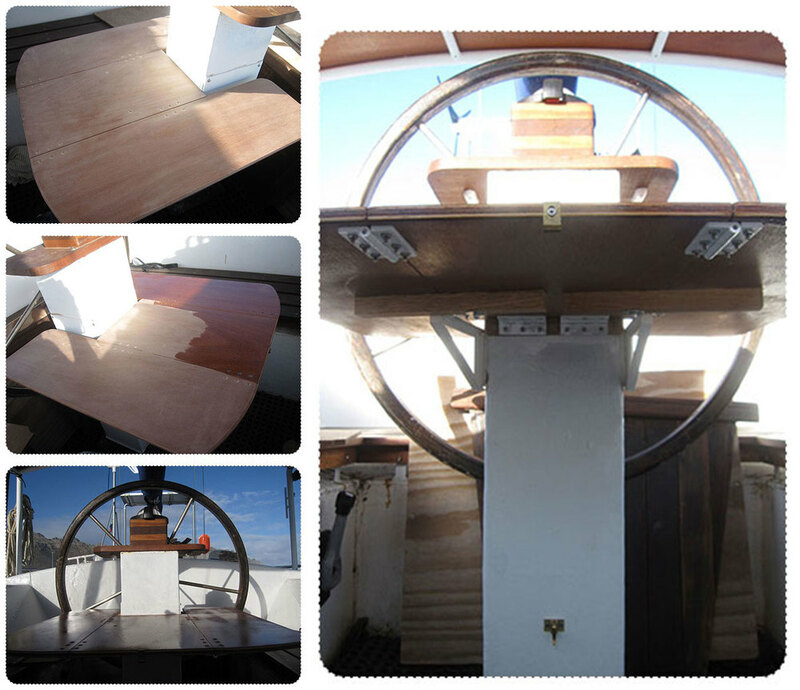 Pulpit Seat – Rufus put together this simple seat in the bowsprit area for us. It’s big enough for one or two people to sit comfortably and relax (as Rufus demonstrates in the pictures above). I can see this spot becoming a fast favourite for everyone.